Among the people whose appointments were confirmed included the Deputy Governor, Central Bank of Nigeria (CBN) Mr. Adebisi Shonubi, Part- time Chairman, Asset Management Corporation of Nigeria (AMCON), Muiz Banire (SAN) and Secretary Nigerian Diaspora Commission, Dr Sule Yakubu Bassi. A statement signed on Friday by Olusegun A. Adekunle, Permanent Secretary (General Services Office) Office of the Secretary to the Government of the Federation, added that those on the confirmed list included five Chief Executive Officers and two Executive Directors of Federal Agencies. Shonubi, the former Managing Director of the Nigeria Inter-Bank Settlement System Plc, was named the CBN Deputy Governor in June with effect from October 17, 2018 for a period of five years in the first instance. Banireâ€™s appointment at AMCON took effect from October 17, 2018 for a period of five years in the first instance, while Bassiâ€™s appointment at the Nigerian Diaspora Commission was with effect from October 19, 2018 for an initial period of four years. The statement also said the president appointed Senator Abba Ali and Mohammed Sagir as members (Non- Legal Practitioners) Federal Judiciary Service Commission for an initial period of five years with effect from October 24, 2018. Management Training Institute (ARMTI) Ilorin. Clement Onyeabo Nze was named the DG, Nigeria Hydrological Services Agency for an initial term of four years with effect from October 28, 2018. David Nyikyaa is the Secretary National Salaries, Income and Wages Commission with effect from November 1, 2018. Obinna Ogwuegbu is the Secretary Special Investigation Panel for Recovery of Public Property, with effect from November 2, 2018.
four years with effect from November 6, 2018 while Prof. Emmanuel Adebayo Fasakin was appointed Rector for a second and final term of four years with effect from November 6, 2018. Obadiah Simon Nkom is the new Director- General/CEO Nigeria Mining Cadastre Office. His appointment takes effect from January 12, 2019 and it is for an initial term of four years. Director, Obafemi Awolowo University Teaching Hospital, Ile-Ife. Abdul-Jalil Suleiman; DG Directorate of Technical Cooperation in Africa (DTCA) and Dr. Bassey Emem Abasi, Chief Medical Director, University of Uyo Teaching Hospital. Services) Electricity Liability Management Company (NELMCO) respectively for an initial term of four years with effect from September 20, 2018 second and final terms of four years with effect from September 20, 2018. The president also appointed Capt. Junaid Abdullahi Executive Secretary, Border Communities Development Agency (BDCA) with effect from September 22, 2018 for an initial period of four years. 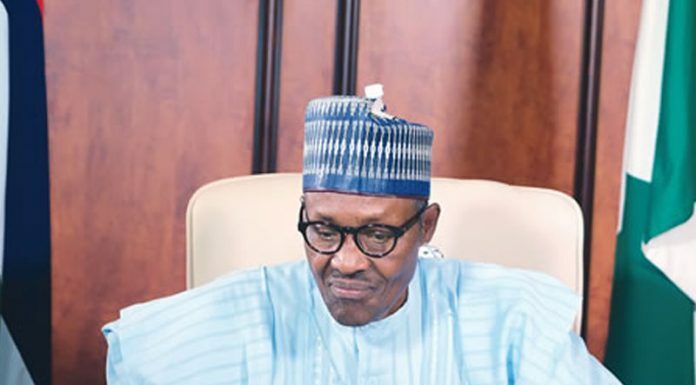 Buhari, in the statement, enjoined the new appointees to serve the nation with all sense of responsibility, honesty, diligence and promote good governance in the discharge of their duties.